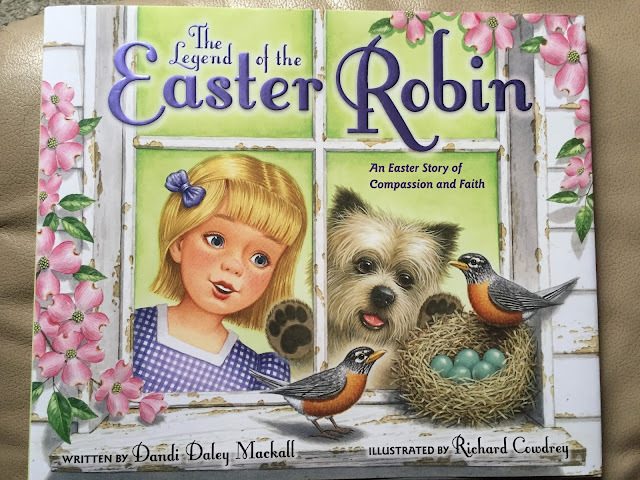 The Legend of the Easter Robin is a beautiful book about God's love for us sacrifice and having faith. 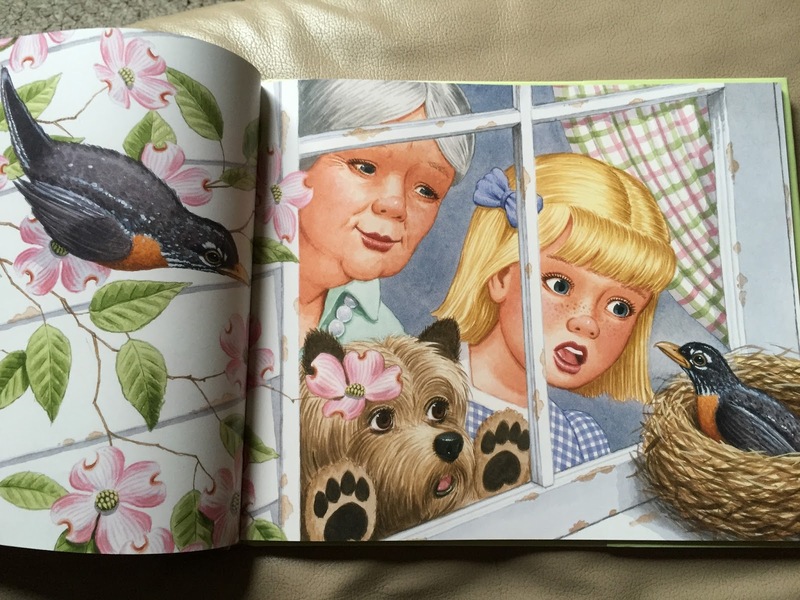 Tressa is at her grandmother's and notices a two robin's building a nest. One day she notices eggs in the nest and with Easter still 2 weeks away there could be snow and frost that could hurt the eggs. Grandmother explains that it is not up to us but in the hands of the Creator. 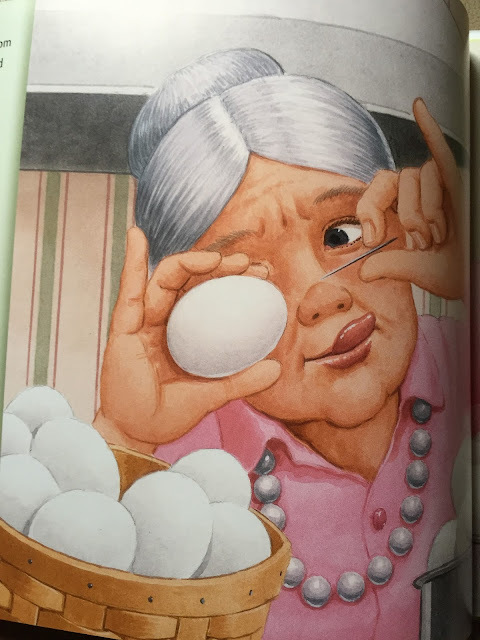 To get ready for Easter, Grandmother shows Tressa how to blow out eggs and color the shells. While creating these decorative eggs, Grandma tells Tressa an old Pennsylvania Dutch Legend of the Easter Robin. 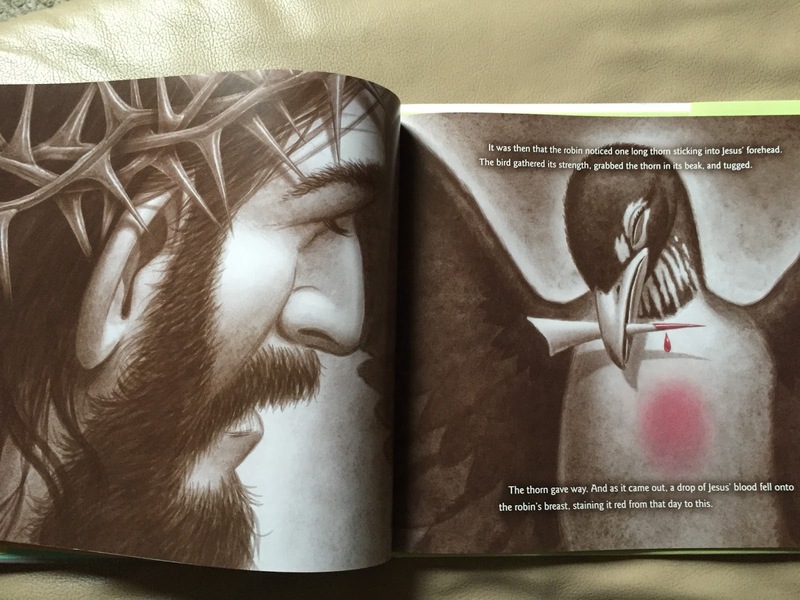 The story goes that when Jesus was being led to the cross a robin thought his crown of thorns was a nest. Upon closer inspection the bird realized that the crown was a cruel nest that was hurting "The Master". 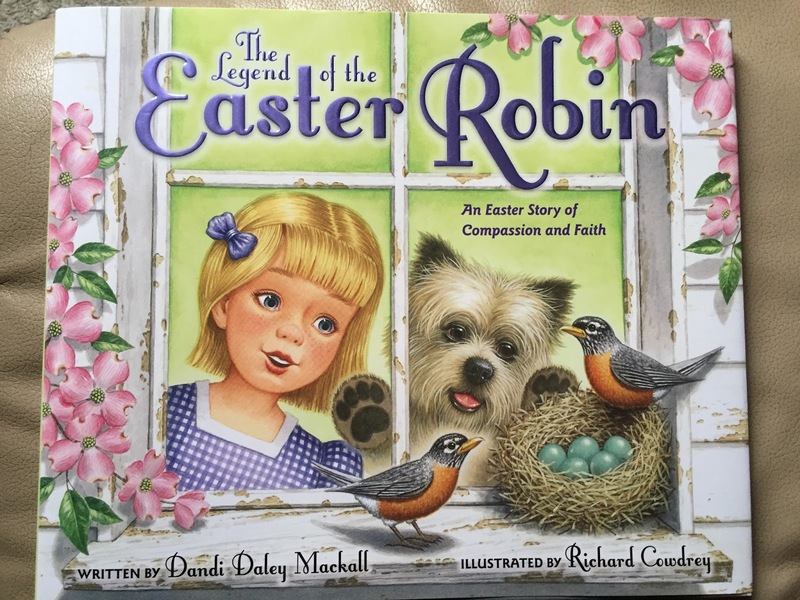 The Robin knew him as someone who was kind to all living things and tried to help. While he couldn't knock the crown off he did manage to pull a thorn out of Jesus' forehead. The blood from the thorn fell on the Robin's breast which gave Robin the red breast which we see today. In the end Tressa and her Grandmother get to stare at the beauty that is God's creation. 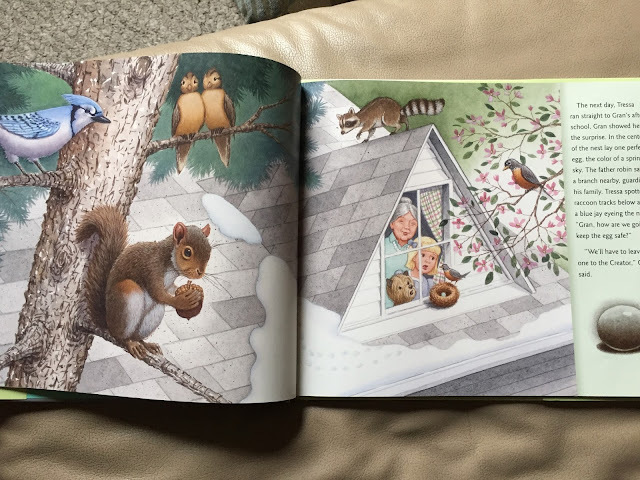 I love the adorable story but it was the artwork that made this book all that more powerful for me. The writer and Illustrator worked wonderfully together to create a magical book that not only talks about nature, spending time with family, and life but mentions Jesus in a way that adds to the story instead of being preachy or too religious for some. It is truly an adorable book with Tressa, her sweet Granny and her adorable dog. I can't wait to show it to my nieces.